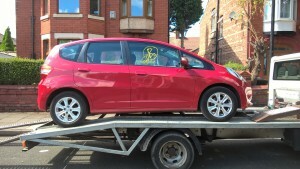 Red seems to be a popular colour for the mark two Honda Jazz – not a trivial point as colour is important as the sourcing of panels with respective hue can save you serious dosh. 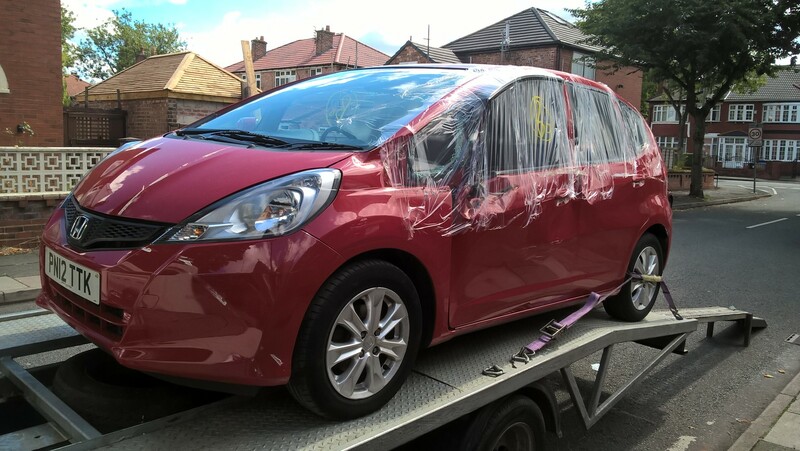 Within one week of buying this 2012 Honda Jazz automatic, I was able to source all parts excluding a front wing and a standard rear dropglass but should have ordered front door hinges which I had seen on the donor car from where the doors were removed. As you can see, the whole side was damaged by some protrusion, possibly metal that started by scoring the front headlight and then progressed to smashing every panel of glass which totalled four, peeling the front door skin back from where the door mirror had been attached. I’m still finding speckles of glass despite emptying two vacuum cleaner bags, even discovering them in my house. 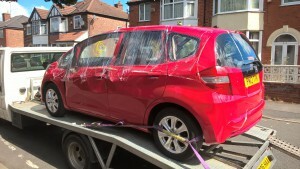 Analysis concludes that the car was stationary as both side windows had been closed and both passenger seats were showered with shards. I prefer side damage as most panels are removable but the rear wing has denting around the quarterlight that will need to be sent to a specialist for repair with bonding for both quarter windows. Strangely, this car was categorised as a C as the side that got smashed had been repaired before – I bet the owner was mortified! 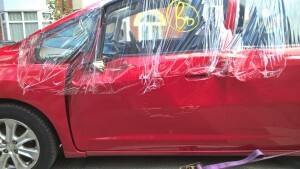 If you want a rear red door with a bit of damage, give me a shout as it can be repaired! 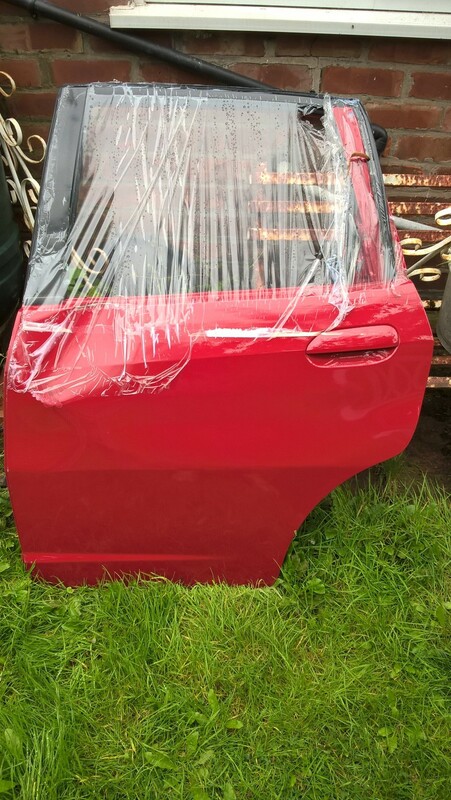 The rear door was easy enough to fit with a perfect colour match and panel alignment but the front door was a different matter, totally misaligned because of distorted hinges so I have sourced hinges but need to spray them at added expense. I have to work out out how to remove the dropglass on the replacement door as it should be standard glass; the window mechanism is another matter as I am having also having difficulty slotting it into respective holes. Frustratingly, the replacement front door had been a pain to fit even with recently bought hinges and I almost gave up, resigning myself to contact a contact who would require payment. After some deliberation, the trolley jack was pulled out to support the bottom of the door as 12mm hinge bolts were tightened and…success! 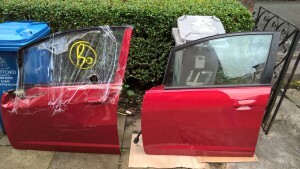 The panel gap between both replacement doors however, is too narrow so will need some tweaking but not until I have found a red passenger wing – has anyone one? « Searching for the 107 !